Beautiful wooded homsite in Highlands of Maxwelton Braes Subd. Underground utilities including municipal sewer, electric & telephone. Golf and downtown Baileys Harbor are just a short walk away! Build your own Door County retreat, restrictive covenants on file. Hwy 57 south of Baileys Harbor to Frogtown Road to St. Andrews Drive to Prestwick Way, to lot. 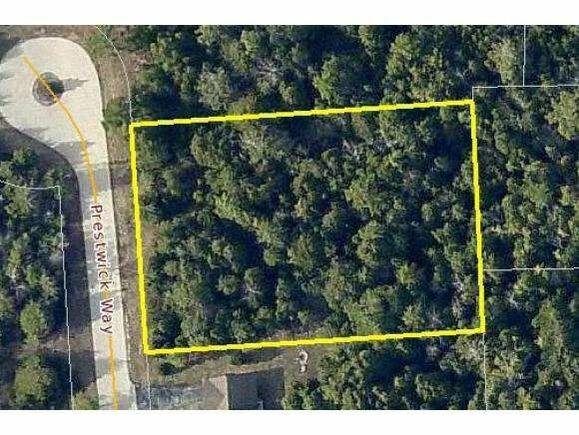 The details on Lot 16 PRESTWICK WAY: This land located in Baileys Harbor, WI 54202 is currently for sale for $44,900. Lot 16 PRESTWICK WAY is a – square foot land with – beds and – baths that has been on Estately for 980 days. This land is in the attendance area of Gibraltar Elementary School, Gibraltar High School, and Gibraltar Middle School.